An elegant, extravagant, eloquent and engaging Art and Culture Magazine with particular emphasis on Australasian contemporary art. Vault embodies the common denominator when it comes to the preeminent designers, artists, collectors and enthusiasts in New Zealand, Australia and beyond – while most of the content is specifically relevant to Oceania, it is pervaded by a global outlook and relevant to anyone remotely into the arts. It features profiles of artists and genres, updates on art movements, show reviews, and event schedules. Interesting interviews and previews give art appreciators an inside look at the work and inspiration of up-and-coming artists, and critiques and reviews show what's new and on-point in the art world. An enduring holistic approach encompassing fashion, architecture, food, literature and the finest forms of visual expression is paired with attention to design and photography lets readers really engage with and appreciate the works and artists being covered in each issue. An almost tactile experience with the high quality printing and paper that is used by Vault. 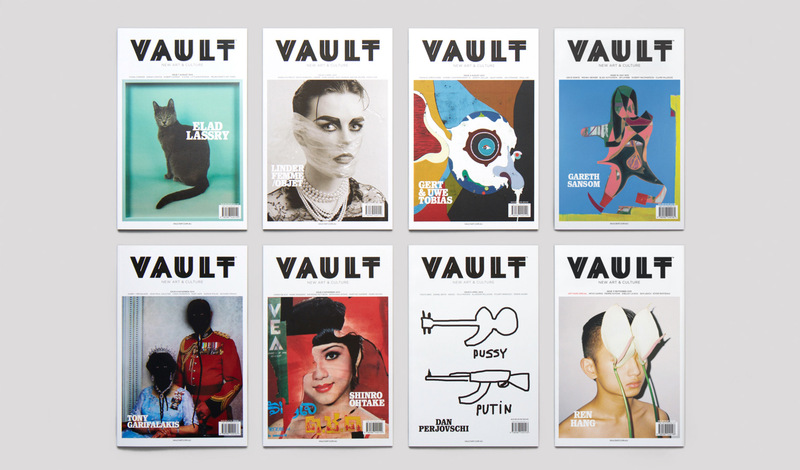 Designed to be read not only by collectors, artists, art dealers, and art professionals, with its visual and textural delights Vault is the perfect magazine for today's lover of art, bucking the digital trend with a stylishly printed magazine that is as much of a joy to hold as to behold.